The U.S. Department of Health and Human Services can connect you to resources and caseworkers who can help you address insurance questions and problems. The Department’s Consumer Assistance Program can help you find and enroll in a health plan, make an appeal when your insurer denies benefits and help you understand your rights and options if you are losing insurance. Click the button below to get started. coverage of people diagnosed with ALS. The annual open enrollment period for the Medicare prescription drug benefit begins October 15 and will continue to December 7, 2013. During this period, those currently enrolled in a Medicare prescription drug plan have an opportunity to switch plans, or they can remain in their current plan. Those who did not enroll in the benefit when they first became eligible for Medicare also may enroll at this time, although these individuals may be subject to a late enrollment penalty. It is important that PALS who have enrolled in the Medicare drug benefit take the time to review their prescription drug plan options, even if they are satisfied with their current plan. Many plans have made important changes to their benefits for the upcoming year, including changes to monthly premiums, the drugs that are covered or included on the plan formulary, the costs of drugs, coverage in the “donut hole” (coverage gap) and other policies that impact access to particular drugs. In 2014, people who enter the donut hole will receive a 52.5% discount on brand name drugs on their plan’s formulary while they are in the coverage gapand a 28% discount on the costs of generics on their formularies while they are in the gap. In addition, new plans with different options are now available in many areas of the country. Therefore, your current plan may or may not be the best plan for you, so we encourage you to take the time to review your options and find the plan in your area that best meets your needs. And as you review your plan options, we strongly recommend that you evaluate plans taking into account a range of factors, such as coverage policies and your drug needs in addition to monthly premiums. Click here to open the full Medicare Drug Benefit Guide in a printable version. Importantly, ALS Association Chapters as well as caregivers and families also can use this information to assist PALS in choosing and enrolling in a Medicare prescription drug plan. These resources will allow people to compare their current plan with other plans and to identify a plan that covers specific drugs, like Rilutek, that are needed by people with ALS. They also include tips on questions to ask when selecting a plan, as well as answers to many of the questions you may have about this year’s open enrollment. If you have any questions about this information or the Medicare prescription drug benefit, please contact the Public Policy Department at advocacy@alsa-national.org or toll-free at 1-877-444-ALSA. People with ALS do have coverage for Rilutek through the Medicare prescription drug benefit in 2014. Thanks to The ALS Association’s outreach, the drug has been covered by Medicare plans since the prescription drug benefit was first added to Medicare. However, coverage may vary, including copays and network pharmacies, so it is important to evaluate these factors when deciding on a plan. It is important to note that Medicare prescription drug plans may not discriminate against beneficiaries on the basis of their medical condition. 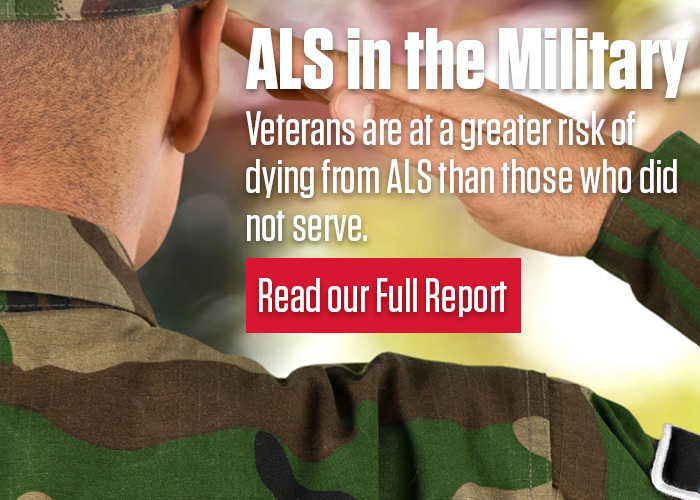 Because Rilutek is one of a few drugs approved to treat ALS, plans effectively would discriminate against PALS if they denied coverage for the medication. Therefore, if you are unable to identify a plan in your area that covers Rilutek, please contact the Advocacy Department (advocacy@alsa-national.org or 1-877-444-ALSA) so that we can immediately bring this to the attention of the Centers for Medicare and Medicaid Services (CMS) and ensure that you will have access to Rilutek. Please also let us know if your Rx drug plan imposes additional restrictions on coverage for Rilutek, such as higher copays or prior authorization requirements. This feedback is important and will help us to resolve any problems PALS experience accessing drugs approved for the treatment of ALS. Costs and coverage will vary depending on where you live and which plan you select. For example, plans will have different monthly premiums, annual deductibles and copays. There also will be differences in which drugs are covered, the cost of specific drugs, policies related to prior authorization, and choice of pharmacy among other policies. In addition, some plans will pay drug costs during the so-called “coverage gap” or “donut hole,” the portion of the standard Medicare drug benefit where you are responsible for paying all costs for your drugs before becoming eligible for catastrophic coverage. Because of the differences in each plan available to you, it is vital that you evaluate your choices to determine which plan best meets your needs. If you already have Medicare coverage and are satisfied with that coverage, you do not need to do anything in order to maintain coverage. However, we urge you to review your options to make sure you are aware of any changes your current plan may be making in 2014. Medicare Prescription Drug Plan Finder (https://www.medicare.gov/find-a-plan/questions/home.aspx). The Plan Finder will allow you to identify plans in your area and to compare your plan with others available to you. Importantly, the Plan Finder will identify which plans cover the drugs you take and includes features that provide you with an estimate of your out of pocket costs for each plan you review, including the costs of specific drugs. Information on estimated monthly mail order drug costs compared to retail drug costs also is available. The Plan Finder also includes ratings of plans based on a number of different factors. MAPRX: Medicare Access for Patients RX, MAPRX, is a coalition of patient, family caregiver and health professional organizations committed to safeguarding the well-being of patients with chronic diseases and disabilities under the Medicare prescription drug benefit. The ALS Association has worked closely with MAPRX, and the MAPRX website, www.maprx.info, includes helpful information and answers to questions. It also includes a list of resources to turn to in your state for assistance. Another helpful tool that is available to PALS, Chapters, caregivers and family members is www.MyMedicareMatters.org. This web-based decision-making tool is provided by the National Council on Aging and the Access to Benefits Coalition. The site has a number of helpful resources including information on selecting and joining plans, costs and coverage and switching plans. Those who are looking to join a plan for the first time can “Start with 7 Simple Steps,” which explains eligibility, how to evaluate current drug coverage, cost, and how to pick a plan. The site also links to the Prescription Drug Plan Finder found on Medicare.gov and there’s also a downloadable instruction page that outlines how to use the Plan Finder tool (http://www.mymedicarematters.org/PrescriptionDrugs/Instructions/instructions.php). Finally, the website includes information on how you may be able to find extra help paying for your prescription drugs. Medicare’s toll-free hotline is available to provide answers to questions as well as personalized assistance identifying and reviewing your prescription drug plan options. Information about the Medicare program, including the prescription drug benefit, can be found in the 2014 edition of the Medicare & You handbook, which was mailed to all Medicare beneficiaries earlier this year. The handbook also is available online at http://www.medicare.gov/Publications/Pubs/pdf/10050.pdf. The handbook includes tips on selecting a plan and an overview of plan options. Those who already are enrolled in a Medicare drug plan also should have received an Annual Notice of Change that describes any changes in the benefits offered by your current plan. Each State has a State Health Insurance Assistance Program that offers free one-on-one counseling to PALS and other Medicare beneficiaries and their families. To find the SHIP office near you, go to www.shiptalk.org. Another helpful site available from the National Council on Aging is http://www.mymedicarematters.org/Professionals/index.php. The site is designed for professionals and volunteers who work with people with Medicare. Resources include information about assistance programs, Medicare brochures and an educational guide to help health professionals speak with patients about Medicare Part D.
Extra Help in paying for Medicare prescription drug costs is available for those with limited incomes, including through the Social Security Administration and other public and private sources. Annual income is less than $15,511.50 for a single person or less than $20,938.50 for a married couple living together. Slightly higher income limits apply if you receive financial support from other relatives living in your household, if you receive earnings from work, or if you reside in Hawaii or Alaska. In order to qualify for Extra Help, your total resources or assets, such as savings accounts or investments, must be limited to $13,300 for a single person or $26,580 for a married couple living together. SSA does not count a person’s house, car or life insurance as resources. Even if your income or assets are slightly higher than the limits listed above, you should still apply for Extra Help. The Social Security Administration allows other deductions that may make you eligible for Extra Help. Visit the SSA website (http://www.ssa.gov/prescriptionhelp/) to see if you are eligible for Extra Help. Additional information also is available in Section 7 of the 2014 Medicare & You handbook: http://www.medicare.gov/Publications/Pubs/pdf/10050.pdf. This website provides information about the Affordable Care Act and how it impacts individuals and families. The website collects both public and private health insurance options across the nation in a single place. Its insurance options finder automatically sorts through this huge catalog of options to help you identify the ones that may be right for you. For more information, visit www.healthcare.gov. This online tool (www.benefitscheckup.org) is a service of the National Council on Aging and will allow you to search for private and public programs that can help you pay for prescription drugs and other health care costs. Many pharmaceutical manufacturers offer assistance programs for people enrolled in the Medicare Drug benefit (and for those who are not enrolled). Partnership for Prescription Assistance. Another coalition of pharmaceutical companies, providers and charitable organizations, the Partnership for Prescription Assistance (www.PPARx.org) offers a single point of access to more than 475 public and private patient assistance programs, including programs that offer assistance with Rilutek. TogetherRxAccess.com: This coalition of drug makers provides assistance for drugs used by people with ALS. Visit www.TogetherRxAccess.com. State Pharmaceutical Assistance Programs: At least 23 states offer assistance with paying drug plan premiums and/or other drug costs. To learn if your state has a program, visit http://www.medicare.gov/pharmaceutical-assistance-program/state-programs.aspx. NeedyMeds. NeedyMeds is a comprehensive and source of information about assistance programs available for people having difficulties paying for their medications or healthcare services. The website also includes information about camps and scholarships based on diagnoses, medication coupons and rebates, and more than 11,000 free or low-cost health clinics. For more information, visit www.needymeds.org. Rx Outreach. Rx Outreach is a fully-licensed mail order pharmacy that provides an easy way for people of all ages to get the medicines they need. The program offers prescription medicines to uninsured and underinsured individuals and families, as well as those who have limited prescription drug coverage. For more information, contact 1-800-769-3880 or visit www.rxoutreach.org. 1. Will my Medicare prescription drug plan be the same in 2014 as it was in 2013? No. All Medicare Part D plans will change in 2014. Use this annual open enrollment time to compare plans and find the plan that best meets your prescription drug needs at a cost you can afford. 2. In what ways could my plan change in 2014? only lets you buy a certain amount of a drug at a time (called quantity limits). Your plan may also decide not to participate in 2014. If you are one of the few people whose plan is not participating in 2014, your plan sent you a letter in early October explaining that you will need to select a new plan. You can pick a new plan between October and January 2014 as part of the Special Enrollment Period. 3. How do I know what changes my plan is making for 2014? You should have received a letter from your current plan called an “Annual Notice of Change/Evidence of Coverage” by September 30. This letter explains some of the important changes to your plan, including changes to the name of the plan, to the premium, the drugs covered (formulary), the cost of the drugs, and any restrictions used that limit the access to drugs. It is very important to read this letter as these changes can have a large impact on the cost of your drugs. If you did not receive the Annual Notice of Change letter, call your plan immediately. While very important, this letter probably does not have all the details you need to determine if your current plan is the best plan for you in 2014. You also need to know how these changes apply to the drugs you use. You can find this information by looking on the plan’s website or in the Medicare Prescription Drug Plan Finder at www.medicare.gov or by calling the plan or 1-800-MEDICARE; (1-800-633-4227/TTY: 1-877-486-2048). You may have received a summary of the formulary with the Annual Notice of Change/Evidence of Coverage letter. If you did not receive a copy of the formulary, call the plan and they will send you a copy or tell you if your drugs are covered. The phone number for the plan’s customer service department is included in the letter you received. You may also get information about the formulary from the plan’s website, by using the Medicare Prescription Drug Plan Finder at www.medicare.gov, or by calling 1-800-MEDICARE (TTY: 1-877-486-2048). 4. Should I compare my plan with others available in my area in 2014? Yes, this is very important to do. Other plans may provide you with better or less costly coverage for the drugs you need. Often the single most important factor in choosing a plan is comparing the drugs you take to the plan’s formulary. The lack of coverage for one drug for a chronic condition can be the most important factor in terms of what your drug costs will be. The best way to compare your current plan with other plans is to use the Medicare Plan Finder at www.medicare.gov – click “Find health and drug plans.” The Plan Finder will allow you to complete either a personalized or general search for drug coverage and estimated costs for plans in your area in 2014. In addition, the Plan Finder tool will allow you to compare coverage and costs with other plans in your area. Estimates are based on drug prices on the date you compare plans; your actual out-of-pocket costs may vary. An important feature on the Plan Finder is an estimate of your total monthly costs over a 12-month period for each of the plans that you are considering. If you have entered the drugs you take, this information appears in a chart near the bottom of each plan’s Drug Costs & Coverage tab in a section titled Estimated Monthly Drug Cost. 5. What happens if a drug I take is not on a plan’s formulary? You must pay the full cost for any drug not on the formulary. The money you pay for these drugs does not count toward the total amount that you must spend to qualify for catastrophic coverage. That is why it is important to make sure that your drugs, especially the most expensive ones, are on the formulary of the plan you select. You, your authorized representative or your doctor can ask for a “coverage determination” (exception) to get your plan to cover a drug when it is not on the plan’s formulary. 6. What is the “coverage gap”? The coverage gap is also called the “donut hole.” The coverage gap is a period during which you have to pay a portion of the costs for your drugs and continue to pay your monthly premium to keep your coverage. If you get Extra Help (Low-Income Subsidy) paying your drug costs, you won’t have a coverage gap. However, you will have to pay a small co-payment or coinsurance amount for each prescription until you reach catastrophic coverage. 7. How does the coverage gap work? The coverage gap begins after you and the plan together have spent a certain amount (no more than $2,850) on drugs that are included on the plan’s formulary and bought at a pharmacy in the plan’s network. None of these amounts include what you spend on your monthly premiums. 8. Has the coverage gap changed since last year? Yes. As in 2013, you will get a 50% discount on brand-name prescription drugs on your plan's formulary while you are in the coverage gap. You will get this discount at the time you buy the drugs. The costs of the discount are covered by the drug’s manufacturer. Your plan will also cover 2.5% of the cost for brand-name drugs while you are in coverage gap. You will be responsible for 47.5% of the costs. In 2014, all plans will also cover 21% of the cost of generic drugs on their formularies during the coverage gap. These changes do not apply if you already receive Extra Help. Some plans provide coverage in the coverage gap in addition to the 28% coverage for generic drugs and 50% discount/2.5% coverage for brand-name drugs. Plans with additional coverage in the gap may charge a higher monthly premium. Before enrolling in such a plan it is important to check with the plan to make certain the drugs you need are covered in the gap. The Drug Costs & Coverage tab on the Your Plan Comparison page on the Plan Finder will show your estimated monthly costs for each plan you are considering, how those costs will or will not change during the coverage gap, and by how much. Depending on your prescription drug needs, plans with additional coverage in the coverage gap may not save you money and may end up costing you more due to higher premiums and cost sharing. 10. What do I have to do if I decide that I want to stay in my current plan for 2014? Nothing. You will stay enrolled in your current plan unless you sign up for a new plan. 11. If I decide to change plans, how and when should I do it? You can enroll in a new plan by contacting the plan you want to enroll in or by calling 1-800-MEDICARE (1-800-633-4227 / TTY: 1-877-486-2048) or by visiting www.medicare.gov. You can change your plan for 2014 by enrolling in a new plan between October 15 and December 7, 2013. However, it is best to make the change as early as possible to ensure that you can get the prescriptions you need without delay on January 1, 2014. There is no fee for changing to a new plan. After enrolling in the new plan for 2014, you will be automatically disenrolled from your 2013 plan. You should not notify your 2013 plan of the change. (On page 5 here, http://www.maprx.info/pdf/12185_MAPrx_Open_2013_v5.pdf, is a chart on the Enrollment Period and Options). 12. If I'm in a Medicare Advantage Plan with drug coverage, but am not happy with the health coverage, can I drop my Medicare Advantage Plan and return to Original Medicare by itself and add a drug plan? Yes, you can switch plans during the Part D Annual Open Enrollment Period from October 15 through December 7, 2013. You can also switch plans during the Medicare Advantage Disenrollment Period from January 1 through February 14, 2013. During this period, you can only switch from your Medicare Advantage plan with drug coverage to Original Medicare but you must also join a separate stand-alone drug plan if you want prescription drug coverage. The booklet Medicare & You 2014 has important information about Medigap protections for people switching from Medicare Advantage plans to Original Medicare. 14. What if I change plans, but find that I don’t like my new plan? In general, you can only switch to another plan from October 15 to December 7 each year. However, there are a few special exceptions that allow you to change to a new plan during 2014, such as if you move out of the service area, lose your employer drug coverage, enter or leave a nursing facility, or if you qualify for Extra Help. That is why it is so important to review your options before enrolling. There is also a new special enrollment period for plans that receive the highest possible rating from the Centers for Medicare and Medicaid Services (CMS). 15. What is the new special enrollment period for “5-star” plans? CMS rates plans for quality using a star system. The best possible score is 5 stars. In October 2013, CMS release a list of 5-star prescription drug plans and Medicare Advantage plans for 2014. The Medicare Plan Finder includes the “Overall Plan Rating” in the listing for each plan. You can sort the plans in your area based on “Overall Plan Rating” to easily find those with a 5-star rating. Under the special enrollment period for 5-star Medicare Advantage and stand-alone prescription drug plans you can switch into a 5-star plan at any time during the plan year. This enrollment period will start on December 8, 2013, after the open enrollment period ends. You can make this change only once during the plan year. Very few plans receive the 5-star rating and there may not be a 5-star plan in your area. The 5-star plans in your area may not be the best options for you in terms of cost, network providers and coverage. You should compare the 5-star plans to your current plan to make sure that you have the same coverage and access to your doctors and other health providers before making the switch to a new plan. 15a. If I previously applied and qualified for Extra Help (Low-Income Subsidy), do I qualify in 2014? The 2013 Federal Poverty Level guidelines determine the income level requirements for people applying for extra help. If you are below 135% of FPL ($15,511.50 for single or $20,938.50 for married couples) you might qualify for extra help. If you applied and qualified for Extra Help at any time and are receiving Extra Help now, Social Security may have contacted you to review your eligibility status for 2014. In late August 2013, Social Security mailed letters to people who were selected for review and included a form to complete called “Social Security Administration Review of Your Eligibility for Extra Help” (Form SSA-1026). You had 30 days to complete and return this form. Any changes in the amount of Extra Help you will receive will be effective in January 2014. If you qualified for Extra Help in 2013, but were not selected for a review, you will not receive a form from Social Security and there should be no change in the amount of Extra Help you receive. If you are unsure of your Extra Help status, call 1-800-MEDICARE (TTY: 1-877-486-2048). Open Enrollment period, you can change Part D plans between January 1 and March 31, 2014. This will be an important opportunity for you to change to a new plan if you find that your existing plan is not your best option. 15b. If I automatically qualified for Extra Help in 2013, will I qualify in 2014? Receive both Medicare and Supplemental Security Income (SSI). 16. Have the rules for Extra Help recently changed over time? Yes. Starting in 2010, Social Security no longer counted life insurance you have as a resource when deciding if you qualify for Extra Help. They also no longer count help you receive from others with your household expenses to decide if you get Extra Help. You should know though that some states may still count life insurance and the help you receive from others to decide if you are eligible for your state’s Medicare Savings Programs (MSP). These programs can help pay for your Medicare Part B premiums and other Medicare costs. If you applied for Extra Help before January 1, 2010, and were turned down because your income or savings were too high, these changes mean that you may be able to get Extra Help in 2013. Call 1-800-772-1213 or visit www.socialsecurity.gov or www.benefitscheckup.org. If you apply for Extra Help, Social Security will send the information to your state’s Medicaid agency to start the process for getting you into your state’s MSP. If you do not want your information to go to the state, there is a box you can check on the application for Extra Help. 17. If I received Extra Help in 2013 and qualify again in 2014, will my drug costs change? Maybe. Your co-payment levels will increase or decrease if you have a change in your income or assets, or if you enter or leave a nursing facility or other institution. If you continue to automatically qualify for Extra Help and your co-payment levels are changing in 2013, you should have received a letter on orange paper from Medicare [CMS Publication No. 11199] in early October telling you your new co-payment amounts. 18. What if I did not join a Medicare Part D plan when I was first eligible, but I would like to join one now? You can enroll in a plan during the Annual Open Enrollment. You may have to pay a premium penalty if you did not have coverage that is at least as good as Medicare’s coverage (“creditable coverage”) during the first/initial period that you were eligible to enroll. The penalty amount is calculated based on the number of months you were eligible but did not enroll. If you have to pay a premium penalty, most people will have to pay it for the rest of their life. The penalty will be added to your monthly Medicare private Part D plan premium. 19. Can I get free help to make decisions about Medicare prescription drug plans? Yes. Every state has a State Health Insurance Assistance Program (SHIP) that offers free one-on-one counseling and assistance to people with Medicare and their families. SHIP offices are located throughout each state. To find contact information for the SHIP offices closest to your community, visit www.shiptalk.org or call 1-800-MEDICARE (TTY: 1-877-486-2048) for assistance. 1. I enrolled in a Part D plan but I haven’t heard anything. Is this normal? No. You should have received a welcome letter and a prescription card from the plan. Contact the plan right away to confirm that you are enrolled. 2. I enrolled in a drug plan in December and got a letter welcoming me into the plan, but nothing else. I have nothing to show the pharmacist. How can I get prescriptions filled without a card? Contact your plan immediately. If you need to get your prescription filled before your card arrives, bring the letter you received from the plan that confirms you have enrolled with you to the pharmacy. If you don't have a letter, ask your pharmacist to call 1-800-MEDICARE (TTY: 1-877-486-2048). The customer service representative should be able to tell the pharmacist in which plan you are enrolled. If you continue to have problems, you should contact your local SHIP office. You can locate your local SHIP office by visiting www.shiptalk.org or by calling 1-800-MEDICARE (TTY: 1-877-486-2048). 3. Will my plan cover a drug that I need to take even if it is not on their formulary? Maybe. You, your authorized representative or your doctor can ask for a “coverage determination” (exception) to get your plan to cover a drug when it is not on the plan’s formulary. Your plan can tell you how and what you need to do. Your doctor can help you with some steps in the process. The plan must decide within 72 hours (or 24 hours for an expedited review) if they will cover the drug. If they decide not to cover the drug, they must send you a written notice. You also have a right to appeal their decision. 4.I am having problems with my old Part D plan. I have enrolled in a new Part D plan but my old plan still deducts a premium and it has been doing this for months now. I have called the old plan several times but I still can’t resolve the problem. What should I do? Report billing errors to 1-800-MEDICARE (TTY: 1-877-486-2048) as well as to the plan. Since your plan has not stopped billing you after you notified it of the error, you may wish to file a complaint (grievance). Ask the plan’s customer service representative to send you a complaint form or tell you how to find one on the plan’s website. You can also file a complaint (grievance) with Medicare by calling 1-800-MEDICARE. Regardless of whether people use the internet or more traditional means to identify a prescription drug plan, they should approach the process armed with important information and key questions to ask. CMS has available a helpful document that provide suggestions on issues to think about when comparing plans (http://www.medicare.gov/Publications/Pubs/pdf/11163.pdf). In addition, we have included below other information to consider when people review their options. But please remember that people should compare their current coverage to the new options that are available. ALS Association Chapters may want to customize the information below to include any other questions PALS may want to consider as they go through the decision-making process. Information on annual income and resources (to determine if you qualify for extra help). A list of medications you take, including dosage. The name of pharmacies you use. Who is the plan sponsor, has the entity been in the community for a while, is it reliable? Through a Medicare HMO or other Medicare Advantage plan. If so, the person must keep getting drug coverage through that plan if he wants to stay in that plan. Through a retiree health plan. If so, has the former employer told the person whether the insurance is as good as or better than Medicare's coverage (i.e., "creditable coverage”)? If it is creditable coverage, the person may stay in that plan without getting a late penalty on the premium if he later decides to change to a Medicare drug plan. Through a Medigap (Medicare supplemental) policy? If so, has the insurer told the person whether the insurance is creditable coverage? If it is not, the person will have to pay a late penalty on the premium if he keeps his Medigap drug coverage and later switches to a Medicare prescription drug plan. Individuals with coverage through the Veteran's Administration, TRICARE, Federal Employee Health Benefit Plan, Railroad Retirement Board, Program of All-Inclusive Care for the Elderly (PACE), or Indian Health Service, may continue receiving prescription drug coverage through one of those plans if that coverage is as good as what is offered from Medicare prescription drug coverage. It is extremely important that you contact The ALS Association (advocacy@alsa-national.org or 1-877-444-ALSA) if you experience any problems or difficulties with your Medicare drug coverage, either during the enrollment process or with the coverage itself, after you enroll. For example, please let us know if you do not have a choice of plans that cover Rilutek or other drugs you and other PALS frequently need. Also let us know if your plan restricts access to these drugs, requiring you to first try another drug or pay a higher copay because the drug is not on the plan’s formulary or list of preferred drugs. Your feedback is essential and will help us to communicate concerns to the Centers for Medicare and Medicaid Services (CMS) and Congress and resolve problems that PALS may experience. We also want to know if you have had a positive experience with the drug benefit, including whether the benefit reduced your out-of-pocket drug costs or enabled you to access drugs for which you did not have prior coverage. Again, we want to communicate these successes to CMS and Congress so that they know what works and what types of policies are benefiting people with ALS.